Bitcoin news today: The Internal Revenue Service (IRS) has finally released its guidance on how Bitcoin should be treated for tax purposes – and it's bound to make the digital currency harder to use. The IRS has decided that Bitcoin is to be treated as property – not currency – for the purposes of taxation. That's good news for people who are investing in Bitcoin rather than using it to buy things. It means that anyone who buys and holds bitcoins for a year or more will pay capital gains rates of 15% or 20%, depending on income level, as opposed to individual rates, which top out at 39.6%. Bitcoin traders will need to track their activities, but the new IRS rules mean that Bitcoin exchanges will have to send their customers annual statements, just like a brokerage. 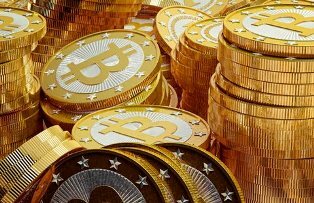 But for those who buy bitcoins to spend, the ruling creates significant complications. People will need to track not just how much they paid for the bitcoins to get their cost basis, but how much the bitcoins were worth when they spent them. The difference is the gain or loss they need to report to the IRS… multiplied by the number of Bitcoin transactions they made over the course of the year. "People might just be tempted to hoard rather than spend, because as soon as they spend they would be liable to incur capital gains taxes," Pamir Gelenbe, the co-founder of the CoinSummit conference and a partner at venture capital firm Hummingbird Ventures, told The New York Times. Although keeping track of every Bitcoin transaction sounds like a nightmare, the fact that it's a digital currency also presents a possible solution. "I can assure you that there are a number of companies that have come up with software to automate this entire process," Barry Silbert, chief executive officer of SecondMarket, told The New York Times. Indeed, the positive reaction from Bitcoin companies to the IRS announcement suggests that they see opportunity in the new rules. Sorry to say, but anyone who thinks their government is going to sit back and let Bitcoin displace their national currency is dreaming. Government cannot function or exist unless it has a currency that it controls in some way. Right now Bitcoin is just a novelty compared to paper currencies. So it doesn't really matter to government at this time. But as soon as Bitcoin looks like it might go mainstream, it will be banned and anyone trading it will be fined or arrested. Doesn't matter what you think is fair or right, government will do whatever it takes to stay in control of their currency. Bitcoin will never have sufficient supply to displace any major fiat currency (though some of its libertarian-minded fans may believe otherwise). The true value of Bitcoin is as a payment mechanism. Most transactions will rely on near-simultaneous conversions to or from a fiat currency. So Bitcoin poses no actual threat to central banks. My question is, how are they going to track the exchange of bitcoins and then link them to a particular wallet or person? It's even quite difficult to track IP addresses since a lot of bitcoin users are using Tor or other programs meant to scramble and mask IP adresses (they're encouraged to, for privacy issues). Also, who is going to supply this "anual statement"? Bitcoin is peer to peer, and yes, bitcoins have pools of people. However, those pools are registered by constantly changing and encrypted addresses, not wallets. Those pools are hosted all over the world too. Good luck with that one. I doubt the writer of this article knows much about how bitcoin is stored/generated. Mine is elementary (since i'm mining them) and i can already see this taxation idea is beyond nightmarish. At this point, the government can't track most Bitcoin activity – as I pointed out in the article. If people use a future U.S.-based exchange to buy and sell Bitcoin, such an entity would be required to send customers an annual statement. Few people will bother to report any Bitcoin transactions that the government can't track, unless they bought high and intend to deduct the loss.